It’s October time- we all know what that means! Pumpkin Spice Lattes, turtlenecks, pumpkins, hot chocolate, and Halloween costumes! If you’re a mom-to-be and you have a bit of a bump (as I’m sure most of you do!) 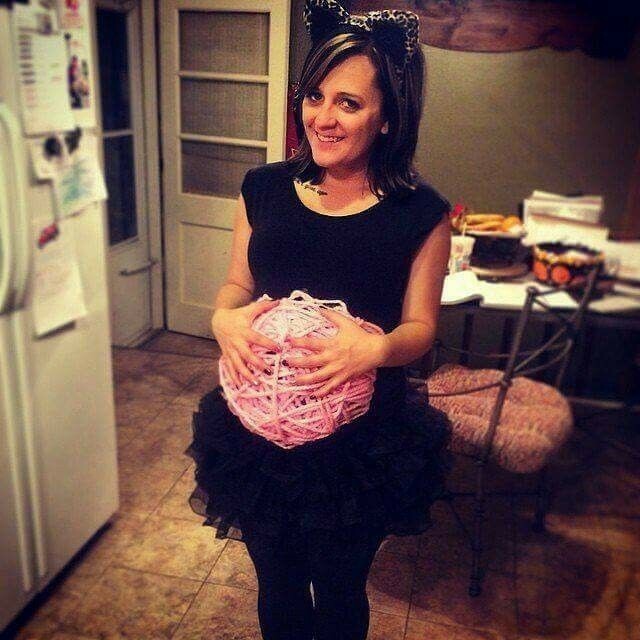 here are some adorable DIY Halloween ideas to dress you and your future bundle of joy! Cut out the white card stock paper into a glasses shape and outline the glasses and draw eyes with black marker. 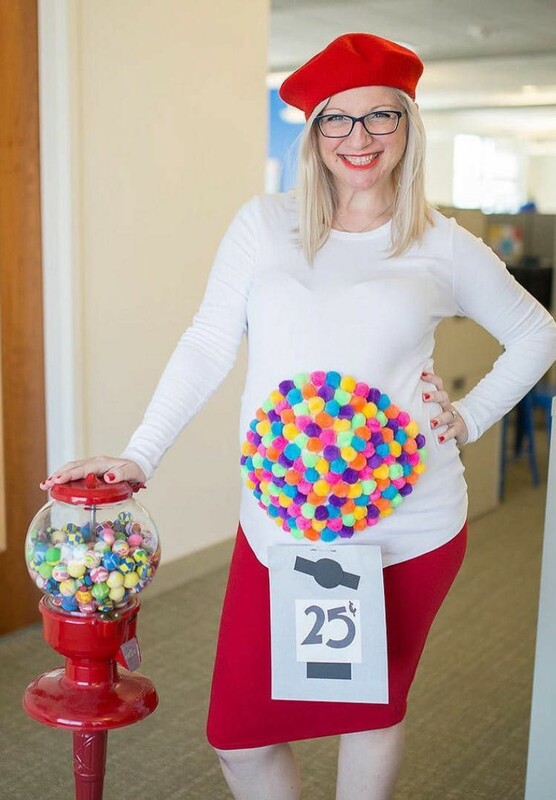 Paste them onto the striped t shirt where your bump will be and make a white and red ski hat with a pom-pom and paste it right above the glasses. The little waldo should be on top of your belly. Wait for shirt to dry and put on with black jeans, black glasses, and your Where’s Waldo hat. 2. Bump in the Road. 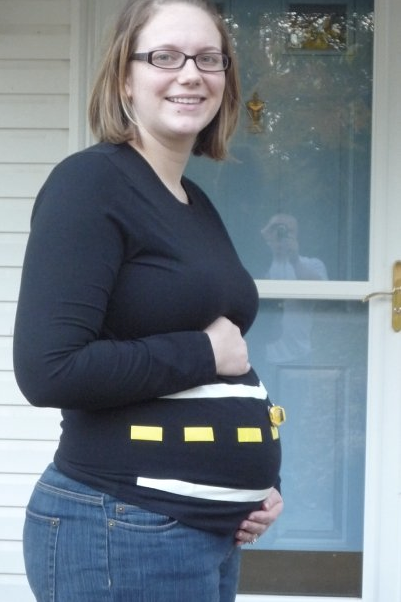 For Mom/ belly- black long sleeve t shirt, black jeans, white scotch tape, yellow scotch tape, toy car, hot glue gun. Make two parallel lines with white scotch tape on your black shirt over where your belly will be. In the middle of the two white lines use your yellow tape and make five short lines going across your belly area. Then hot glue gun the toy card in the middle of the ‘road’. This is a super easy one and will take five to ten minutes. Glue the 8 in the center. Draw a medium sized circle on the area of your shirt where your bump will be. Glue the colorful pom-poms to the circle and completely fill it up. It should look like a round circle of gumballs. Take the white piece of paper and write 25 cents on it. Wait for your shirt to dry, put on the shirt, leggings, and beret. Lastly attach the paper to the bottom of your shirt. Here you go- sweet as candy! Unspool the yarn and cut it into pieces around the size of your arm from finger to shoulder. 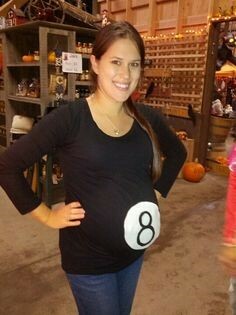 Draw a circle on your t shirt where your bump would be and glue gun the yarn into the circle until the middle is completely covered with the colored yarn. Leave some pieces of yarn hanging down but make sure most of the pieces are curled to resemble a ball of yarn. Put on the shirt and leggings. Draw whiskers on your cheeks and put on your cat ears. There you go- cat got your tongue? Cut the piece of felt into a half circle and glue gun (or sew) it into a pocket on the area on your t shirt where your bump will be. Leave the top open. While it is drying cut out mouse looking ears from brown card stock and glue them onto your headband. 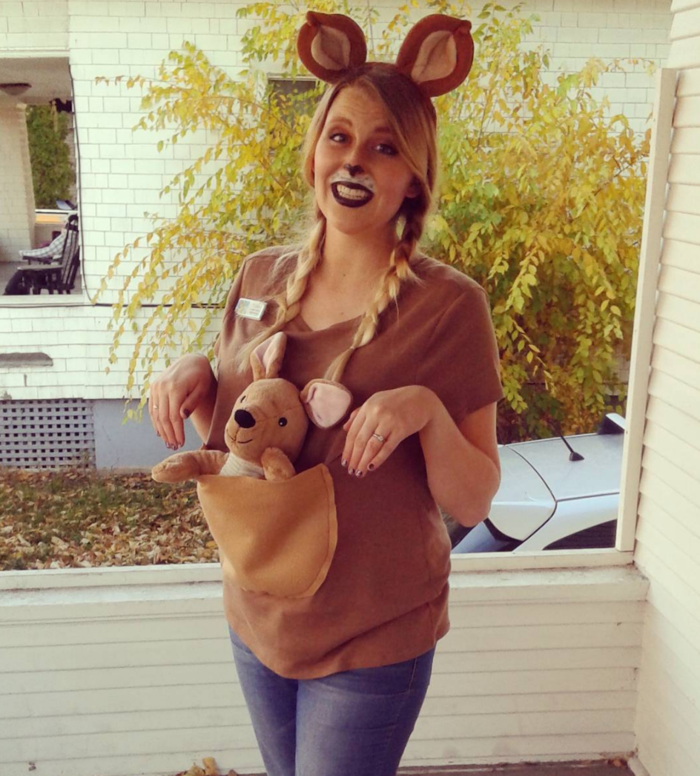 Put on your t shirt and place the stuffed animal in the pouch. Apply face make up- draw whiskers and line your lips.